Last session, Republicans passed a number of controversial bills focusing on the current election system. Though each piece of legislation was signed into law, the organization One Wisconsin Institute immediately sued, stating the new laws were unconstitutional and restricted voters. 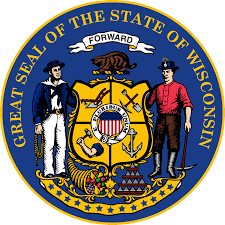 U.S. District Judge James D. Peterson made the decision in July to barre Wisconsin from enforcing the new laws, prompting Attorney General Brad Schimel to appeal the court’s decision. On Monday, August 22nd, the ongoing court battle finally came to ahead when the U.S. Court of Appeals for the 7th Circuit Court ruled the new laws will not go into effect during the 2016 election cycle. The recent refusal to stay will throw out legislation including a limit on early voting, prohibition on providing voters with absentee ballots by mail or fax, requiring cities to only have on polling location for early voting, and requiring University dorms to provide citizen information to polling locations. Though parts of the Voter ID law were thrown out as well, this November voter’s will be required to show an ID at their polling locations. The new ruling not only halted legislation but changed current voting laws as well. Early voting will now begin on Monday, September 26th, earlier than ever before. One Wisconsin Institute celebrated the early voting change as a large win for the state. “We hope municipalities across the state will quickly move forward in offering expanded in person absentee voting hours to ensure all Wisconsinites are able to exercise their right to vote,” said Director Scot Ross. The Wisconsin Department of Justice has yet to comment saying they are reviewing the court’s decision. The court’s ruling will hold steady during the 2016 election cycle, but the battle is far from over. There is a chance the laws could still go into effect in the future.